‘Unpredictable is dangerous but it is vulnerable as well’ and that’s what proved in the yesterday’s game between Pakistan and New Zealand where everybody expected Pakistan to win this game but once again unpredictability haunted Pakistan in this game. What went wrong with most mercurial side in the world in this game? Was It great hitting by Ross Taylor or was it poor bowling by Pakistani bowlers, well I must deny to all these reasons. There is an old saying ‘catches win matches’ and yesterday Pakistani wicket-keeper Kamran Akmal dropped as many as 4 catches and when you drop that many catches then you never end the game on a winning note. I believe Kamran Akmal is completely out of sorts since that Sydney test-match saga where he dropped too many catches and came under scrutiny of match-fixing. Since then his confidence is down and he is not even performing well with the bat and he is dropping catches regularly. I think Pakistan have to find his replacement as early as possible because if he drop catches in knockout round then it will be difficult for Afridi and Pakistan to win the elite trophy which entire Pakistan is hoping for. 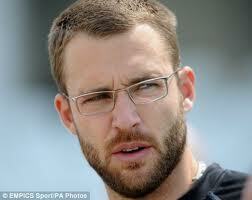 Else Pakistan team management have to give him confidence and back him to do well behind the wickets. Pakistan will never forget those last 4 over overs in which Ross Taylor hit as many as 92 runs and Taylor hit those runs after getting 3 reprieve from the wicket-keeper Kamran Akmal. Taylor was dropped on zero and after that he was dropped thrice. 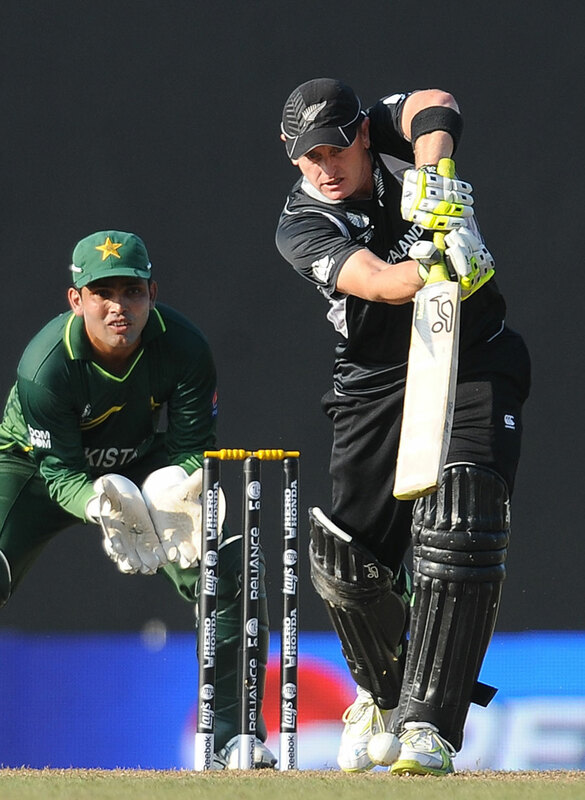 Taylor hit 7 towering sixes and put Pakistani bowlers under enermous pressure. I think dropped catches also affected the morale of the Pakistani bowlers especially Shoaib Akhtar who bowled erratic spell at the death and gone for plenty at the hands of Ross Taylor. Once Pakistani bowling was taken for task it became difficult for Pakistani team to forget that dangerous hitting and that played big time on their minds when they came into bat and lost their wickets in a hurry. I think they were completely under shock and awe of that power hitting by Ross Taylor which they never expected from Kiwis who were tagged as losers before this game. Kiwis now back in contention for the spot and now looks very threatening. They will now certainly pose few problems to the oppositions in coming matches. From their point of view form of Ross Taylor was important and till yesterday Taylor was not in great form but this match against Pakistan provided Taylor that oxygen which he was waiting for past few months. Taylor scored brilliant century after long time and celebrated his 27th birthday with this blitzkrieg knock. Now Kiwis look formidable side and can beat anybody because they are not short of talent at all. They needed a kick and they got in the last match and now they can also hope for going into semis. For Pakistan it is better that they erase this game quickly from their minds and focus hard on coming matches and don’t repeat the mistakes they made in this match. Top-Order failure is the big concern for Pakistan right from the start of the tournament and their top 3 batsmen Hafeez, Shehzad and Kamran Akmal have to fire in coming matches. Everytime they can’t rely on Misbah, Younis and Umar Akmal to bail them out of the trouble. Today Dutch will face Indian Challenge at Kotla. Win in this match will seal the quarter-final berth for Team India and loss will bring lot of embarrassment. Dutch side is very good side and we all saw how well they played against England and fought till the end. Batting of the Dutch team is quite good and Indian team can’t afford to take them lightly. 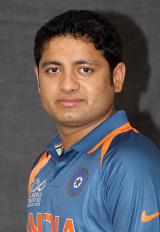 Team India and Dhoni faced lot of criticism from media and cricket lovers due to the persistence with Piyush Chawla in previous 2 matches where leggie Chawla did plenty of charity with the balls and failed to pick up wickets. Considering that 2 top wicket-takers(Shahid Afridi and Imran Tahir) in this World Cup are leg-spinner, it was expected from Chawla also to pick up lot of wickets but he failed to live upto the expectations and now he has to face the axe. I think India have the chance to experiment in this match and they have to rest Zaheer and pick up Nehra and give him match practice ahead of the big games and knockout stage. It will also be intersting to see whether R.Ashwin get into the final squad or not. If he’s included in the squad then it will be interesting to see how Harbhajan Singh bowls in tandem with Ashwin as both of them are off-spinners but both are completey different in style. So its time for the experiment for India to find out right combination ahead of the big matches. Dutch team however looked impressive in this tournament so far although they failed to win the matches but whatever cricket they played is really impressive and they can pose lot of threat to the Indian team. Peter Borren and his men are hoping of pulling out an upset and if Dutch side play well and execute their plans successfully then we can also expect the unexpected. Kotla pitch is always known for its slow and low nature and it will be difficult to score runs on Kotla track and I think total of 250 runs will prove winning total. Remember this is the gorund where legendary Indian spinner Anil Kumble picked up all the 10 Pakistani wickets in an innings of the test match and became second bowler in the world after Jim Laker to achieve this feat and he is the only Indian bowler who holds this record.